I had been really worried the days leading up to this ride. Philadelphia has forty thousand abandoned buildings. I had thought the first fifteen miles of this trip through North Philadelphia would be through dangerous slums; boarded up houses with white tee shirted young men lingering on the corners. The Wire. I did get some excellent routing advise from the staff of a Central City Philadelphia bike shop the evening before, and it turned out all my fears were for naught. The trip out Aramingo and Torresdale Avenues was really quite pleasant. And it was a reminder that Philadelphia is huge. 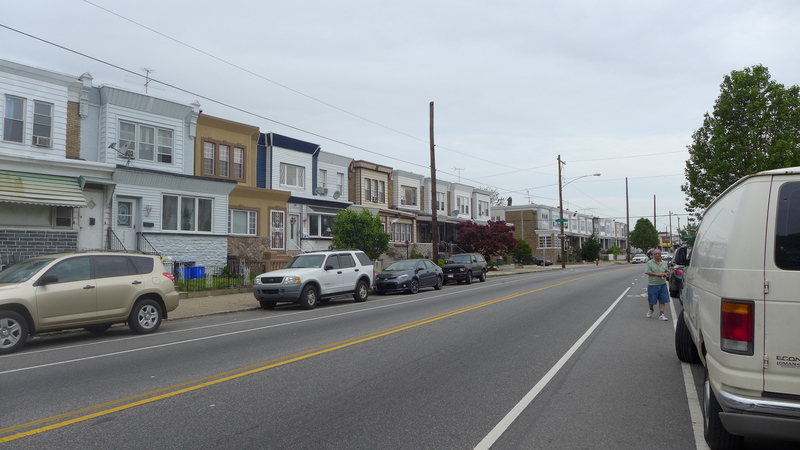 Twelve miles of continuous row houses, with a couple of breaks for commercial development. There was a nice bike lane most of the way. Destination that evening was my sister Betsy’s house in Princeton NJ. 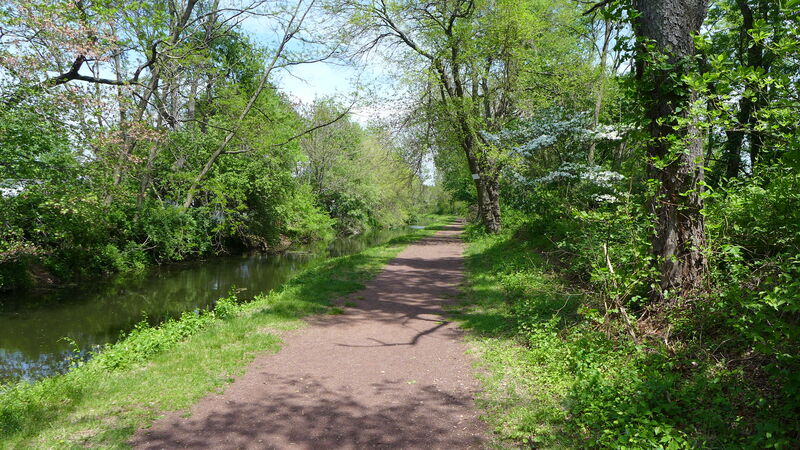 The second half of the trip was largely on bike paths paralleling the extensive canal system along the Delaware River. The paths themselves were great. Unfortunately, they are not well labelled, and tend to stop and start abruptly. I got to Princeton in the late afternoon. George cooked us a delicious dinner. We went out for ice cream afterwards. Princeton can boast that it has serious gourmet ice cream shops. The best ones were closed on Mondays, but the one that was open still had amazing homemade rum raisin. 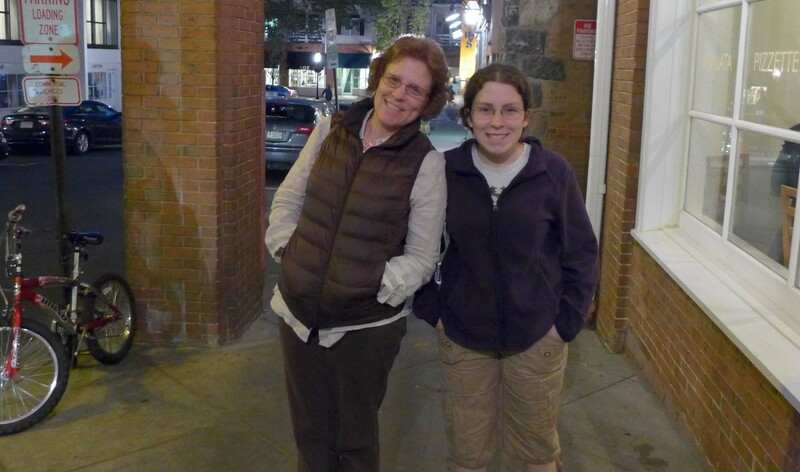 Here is Betsy and daughter Lynn.